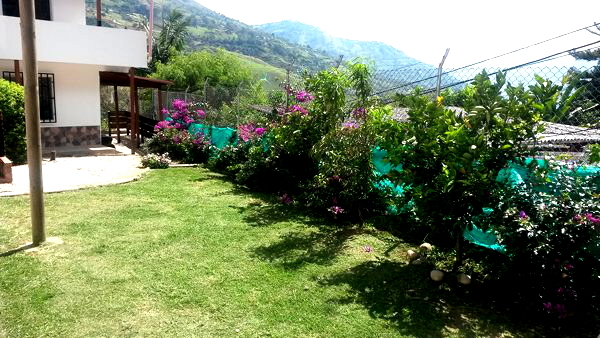 An Englishman in Colombia: Gardening! The bougainvilleas are now taking off, hopefully it wont be long before I can remove the rest of the green privacy screen, I weeded in between them all, getting a full sack, then I had to go out in the lane behind, and train some of the longer shoots, before they become a nuisance to people using the track. It was a good couple of hours, and I felt as if I had accomplished something today, although in a few days, it will all need doing again.